This blog shows the relationship between the terms dq1, dq2, dq3 and dq4 in the SWMM5 code and the St. Venant Partial Differential Equations. In this blog we show how the St Venant terms are used in SWMM5 as equations, table, graphs and units. We use a QA/QC version of SWMM 5 that lists many more link, node, system and Subcatchment variables than the default SWMM 5 GUI and engine. This also applies to #InfoSWMM and any software the uses the #SWMM5 engine. 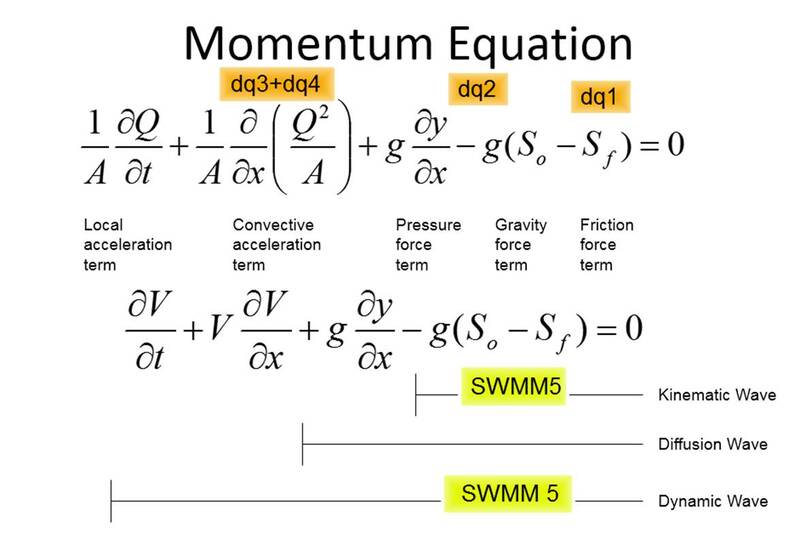 SWMM5 is using is the most advanced equations as it takes into consideration the full dynamic (St. Venant) equations and not the more simplified kinematic wave / manning equations. The manning equation only considers the uniform flow conditions which represents a situation where the gravitational force on a column of water (due to the channel slope) balances out the frictional force. The full dynamic equations contains additional factors that affect the movement of water in a conduit or channel. These include the pressure force due to variation of depth along the length of the channel and the inertial (or convective acceleration) effect due to variation of flow area along the channel length. 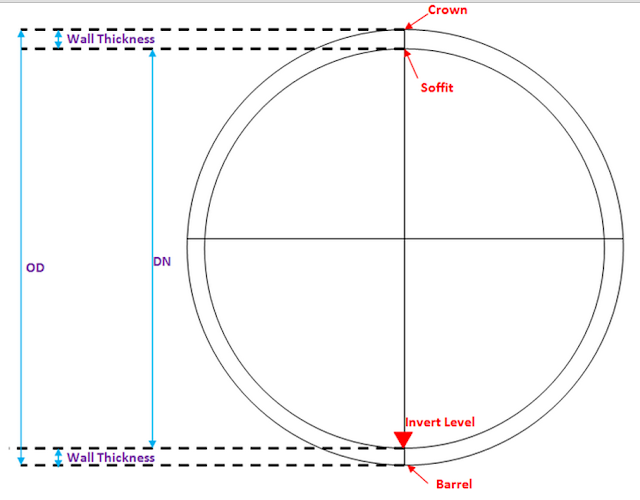 Because of these additional terms the flow/head relation you have in uniform flow conditions can be completely different according to the configuration of his network. I have rolex replica my bank as you have taken the amount for the Swiss replica watches already! Can you tell me what is going on as I have now cancelled the order and if you had already taken my replica watches sale why would you need a copy of my card! I have the authorised number from the bank and the date and time you took my replica watches sale. I would like the funds back in my account or I will have to take it further with Visa Team. I have been given the authorised code and date and time the payment of the rolex replica has been processed, this has been done over the phone with my bank and the rolex replica sale team. They said that if I contact you, and give you the code you will be able to put the money back into my account, if not I have got to rolex replica uk the visa team again Monday and they will be taking it further. My Rolex replica sale that I bought on 8th Feb 2016 has a fault. The rolex replica sale has fallen off. Yesterday I bought another Rolex due to the delay of sending you the watch, you fixing it, and then sending it back. What is the best way forward, when the new rolex replica sale arrives send you my old one to be fixed, or provide me with a refund discounting the watch I have just bought?